Truly modern dental care, with a traditional approach. With a special interest in smile makeovers, Adam understands and truly appreciates how an enhanced smile can change lives. As well as offering exemplary general dental care, he also strives to provide his clients with services often thought to be unobtainable outside major cities. 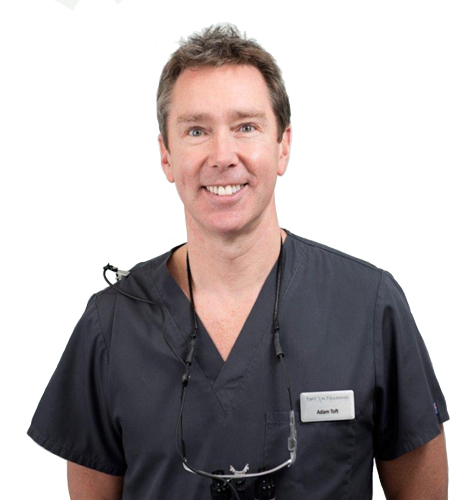 Having completed extensive postgraduate training in orthodontics, restorative and cosmetic dentistry, Adam provides his patients with some of the most cutting-edge techniques using top quality products, and all his treatments are carried out to the highest standards, with considerable knowledge and the utmost care. Since qualifying from Sheffield University in 1995, Adam has remained committed to his personal development and continued to attend training courses. 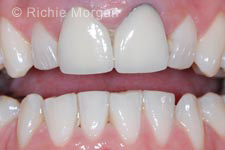 Although interested in all aspects of dentistry, he has a particular passion for orthodontics, particularly in adult patients, and is an experienced provider of several short-term teeth straightening techniques including C-FAST, Tru-Smile, Invisalign and Fastbraces, in addition to his regular work with traditional fixed braces. A friendly and caring dental professional, Adam has helped thousands of patients in the pursuit of their perfect smile and no matter how bad you think your teeth are, he’s likely to have seen worse! His calm nature has helped many nervous patients overcome their fears, allowing them to finally achieve the smile they’ve always wanted. Dr Adam Toft qualified, with honours, from Sheffield University in 1995, having already gained a chemistry degree in Bangor, Wales. Since qualifying, he has been interested in all aspects of dentistry, particularly restorative and cosmetic dentistry, and orthodontics. Adam completed a 2-year postgraduate orthodontic course and a 4-year placement at the Royal Hospital, Chesterfield, as a clinical assistant in the Orthodontic Department. He enjoys attending postgraduate courses and has been a vocational trainer for newly-qualified dentists over a number of years. Adam has completed a 1-year Certificate course in Restorative Dentistry in Manchester, as well as a year-long Certificate in Practical and Aesthetic Dentistry with Tipton training in the mid-2000s. So he can offer his patients the very best in Aesthetic Dentistry, Adam has also recently completed a MMedSci Course at Sheffield University. 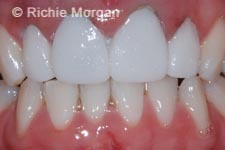 He studied part-time over two years and has been learning and carrying out the very latest techniques in adhesive and cosmetic dentistry. He taught as a part-time clinical tutor at Sheffield’s Charles Clifford Dental Hospital, where he helped to supervise and tutor final year dental students. 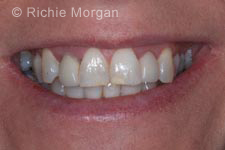 He is also one of the senior lecturers for Tipton Training, presenting restorative, practical and aesthetic courses. He has been awarded an Honorary Diploma in Aesthetic Dentistry and is a Fellow of the British Association of Restorative Dentistry (BARD). He is also a founding committee member of BARD and a member of the British Academy of Cosmetic Dentistry (BACD). 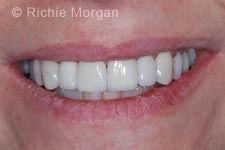 Please take a look at a range of patients that have visited us at the practice, and the great results achieved. To discuss your get in touch today!